Medicine is usually fairly straightforward — patients who are feeling ill seek out the advice of a primary-care doctor — but more and more patients are choosing to look for a naturopathic doctor instead of relying on traditional medicine. Why are patients choosing naturopathy over primary care? First, naturopathic medicine is a growing form of primary care that relies on natural therapies instead of traditional medications. It does much of what primary care is designed to do — preventive medicine, treatment and working toward a state of optimal health — while helping patients make lifestyle changes and use natural, and sometimes centuries-old, medical knowledge. There are currently more than 4,300 licensed naturopathic doctors in the United States. To become licensed as a naturopathic doctor, individuals are required to graduate from an accredited naturopathic medical school after a four-year program. There are currently only 17 states, plus the District of Columbia, that have laws on the books that regulate licensing. Naturopathic doctors are also able to ply their trade in Puerto Rico and the U.S. Virgin Islands. Why are patients choosing to seek out these naturopathic doctors for their primary care? Traditional medical treatments run the risk of being “cookie-cutter” medicine — for example, a doctor who treats chronic pain will probably recommend the same drugs and course of treatment for each patient. It’s difficult, if not impossible, for a patient to convince their primary-care doctor to work with them to create a personalized treatment plan that works best for them. Patients seeking have turned to naturopathic doctors to receive a more tailored approach to medicine. With a naturopathic treatment plan, you can’t prescribe the same thing for multiple patients. The treatment that works best for one patient might not work at all for the next. Part of what makes becoming a naturopathic doctor so difficult is that you have to know the basics of medicine, but still learn — or, in many cases, relearn — how to think outside that traditional medicine box. This desire for personalized treatment has an additional benefit, in that it allows the patient to be in greater control of their medical treatment, rather than feeling like a passenger who’s just along for the ride. The United States is in the grips of an opioid epidemic, but in spite of this, opioids remain the most common treatment for the chronic pain that affects up to 11 percent of the population. Naturopathy offers an alternative to this opioid-based treatment many patients are seeking due to a variety of reasons — either they are unable or unwilling to take opioid painkillers, or they are in recovery from an opioid addiction, but still have chronic pain to deal with in their everyday life. Naturopathic treatments for chronic pain run the gamut from medical marijuana to diet and lifestyle changes. For example, some professionals have found a change in diet can help patients with arthritis manage their symptoms, either separate from or in conjunction with traditional medical treatments. Medical science is expansive, but for patients with chronic pain or those who suffer from chronic illness, it’s not uncommon for them to totally exhaust all available treatment options, leaving them either with the most extreme treatments or with no options at all. What can you do if modern medicine has essentially given up on you? You can apply to participate in clinical trials, but that’s not always the best option. The answer, for many, is to turn to naturopathic alternatives. Like the arthritis example we spoke about a moment ago, naturopathic treatments can help patients manage their symptoms when they have exhausted all other options, or as something to aid in management while they wait for new treatments to complete their clinical trials. Not all naturopathic doctors are trained and licensed. Those who are not often prey on the fears people experience when they’re facing a serious illness like cancer. There have been multiple cases in the news, both in the United States and globally, where people with potentially treatable diagnoses turn to naturopathic medicine instead of traditional treatments — and end up dying as a result. Now, these cases are definitely the exception, rather than the rule. Naturopathy can be an excellent option for people who have run out of options, or those who want to take more control of their health care, but it’s important to remember that while naturopathic doctors are trained and licensed, their natural remedies and treatment are not appropriate in all situations. Whether we like it or not, naturopathy is here to stay. 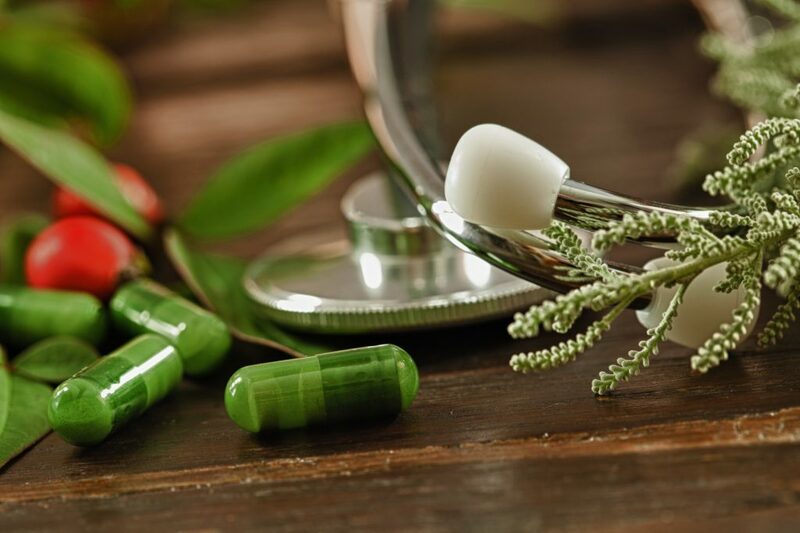 More and more states every year are taking steps to license naturopathic doctors, and the government’s establishment of Naturopathic Medicine Week means these treatment types are going to move out of the shadows and into the mainstream medical community. The key to successful naturopathic treatments is to make sure patients know all their options, including transferring to a more traditional treatment plan or primary care doctor if necessary. Patients will continue to seek out naturopathic doctors as they become more common in the coming years. While naturopathy might not offer cures for many conditions, these patient-centric treatments can help people manage their symptoms and can potentially become a fantastic complement to traditional medical practices. Jennifer Landis is a freelance writer and healthy living blogger. She drinks tea in excess, has a collection of peanut butters, and is a super nerd at heart. Read more from Jennifer on her blog, Mindfulness Mama.